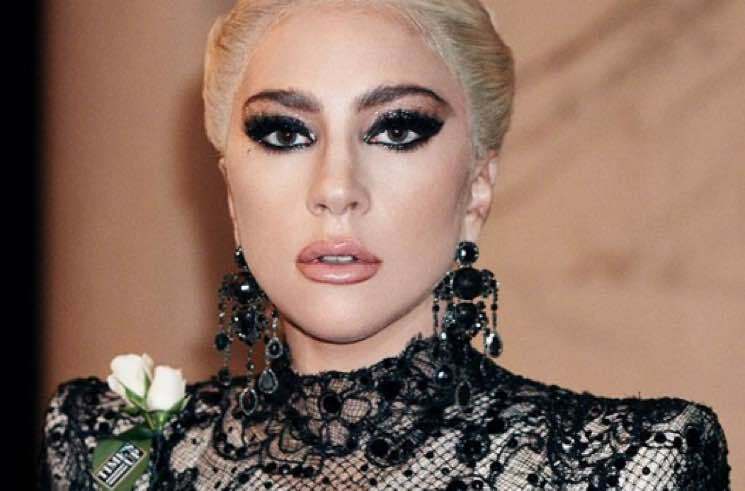 "I can't go back, but I can go forward and continue to support women, men and people of all sexual identities, and of all races, who are victims of assault"
Lady Gaga has issued a statement apologizing for a previous collaboration with R. Kelly. Following the release of Lifetime's Surviving R. Kelly documentary series, which explores a number of new disturbing sexual abuse allegations against the R&B singer, a number of artists have apologized for previously working with Kelly. Lady Gaga is the latest to share her regrets about working with him, specifically on their 2013 song "Do What U Want (With My Body)." In a post on Twitter, Gaga admitted that she made the song and video "at a dark time in my life." She claimed, "My intention was to create something extremely defiant and provocative because I was angry and still hadn't processed the trauma that had occurred in my own life." She went on to say that she should have sought help through therapy or other means of honest conversation. "I can't go back, but I can go forward and continue to support women, men and people of all sexual identities, and of all races, who are victims of assault," she added. "I have demonstrated my stance on this issue and others many times throughout my career." In 2016, Lady Gaga went public about her struggle with post-traumatic stress disorder and detailed her own sexual assault at the age of 19. The A Star Is Born singer closed out her note by pledging to remove her R. Kelly collaboration from streaming services and to never work with him again. Read her full message below.